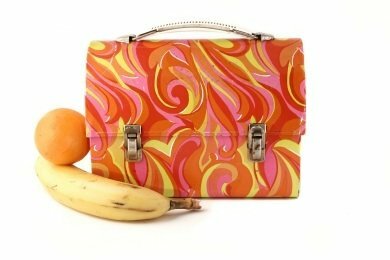 We arrive at the end of summer and it is time to start packing those lunch boxes for school. How can we make them better? My children are always demanding that the food keep changing - they seem to love variety. Would I love to pack carrot sticks every day? Yes! But, will they eat them every day? No! So, I tax my brain about what types of healthy foods to include - and most importantly - I involve them in my decisions. If they "buy in" to a healthy snack, they are much more likely to actually eat it. I am hoping that as my children get bigger - they will pack their own lunches. This would make my life SO much easier and be good training for when they no longer live here. The list below is meant to augment the obvious stuff for lunch boxes (apples, grapes, bananas, veggie sticks, whole grain crackers, etc.). The first seven on the list are recipes for when you have a little time to prepare a healthy snack. The last three are my favorite packaged snacks for when I run out of time for making snacks. 3. Whole Grain, Homemade Chip: Goodbye Potato Chips! 10. Need Some Intense Dark Twilight Delight? Below is my favorite lunch box (because it has compartments to put yummy food in) and my friend, Kelly, came up with them. What do you put in your kid's lunch box? Always looking for new ways to incorporate healthy foods into my daughters lunch box. However, she opposes this by not eating anything, then when she gets home from school, she straved and reaching for anything that's fast and easily accessible. She's only 8 y/o, but I think that this year we're going to start letting her get her lunches together, with the hope that this eliminates this problem. I am glad you included the nod to Whole Grain, Snack Girl! Wow @Cathie! Is she really eating nothing at all? Does she like crispy snacks? I work with the social media team for Wasa and they have a coupon on their Facebook page: http://www.facebook.com/wasa?sk=app_10531514314 If you want to try them out. They are a crunchy source of fiber and taste great topped with peanut butter or cheese. There are some great recipes on their website complete with nutritional information. They make a great snack or lite lunch for you too. I keep them at work for in between meals. I haven't attempted to give her the Wasa, although I love them myself. Lately, I've been on a Wasa Multigrain Crisp Bread kick. She will actually bring home the entire lunch box filled with everything I packed for her, or sometimes what will happen is the lunch ladies will feel bad for her and give her a bagel or something. This really makes me feel like "Bad Mommy!" My thought process is maybe if I let her get her lunch together, she'll be more apt to eat it. Thanks for the Wasa site, I already "liked" it! I drop in a Clifbar mini. Thanks Girlfriend, for sharing my EasyLunchboxes with your readers! A very timely article! It seems like I pack the same ole thing everyday. I will definitely incorporate some of your ideas. I just wrote about using the topic of school lunches vs. lunch boxes to teach your kids about budgeting. Let me know what you think!